News that brings terror to early risers and Seattle economists alike, climate change may be on the verge of eliminating the primary source of a great cup of coffee. Coffee is wonderful! 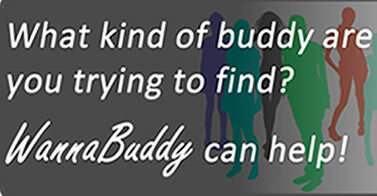 It is a diet aid, a cancer preventer and a longevity enhancer. Oh, yeah, it really tastes good, too, as it restores the will to live every morning. But how is climate change impacting my daily cup of joe? First, a little background. 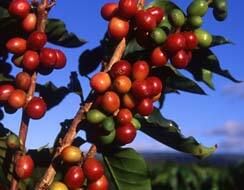 There are two main varieties of coffee beans: Arabica and Robusta. Arabica gets most of the attention, because is it the primary source of fresh-brewed coffee. It is 70% of overall production, with the balance being Robusta. 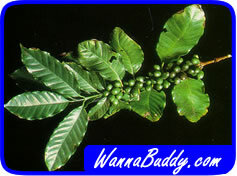 The Robusta bean is used in instant coffee primarily. It has a more bitter taste that is popular in Turkey and Greece but not so much elsewhere. The problem comes from the gradual changes that are occurring in the climates of Ethiopia and Southern Sudan. This is where a great deal of “wild” Arabica beans are grown. These wild beans are much more genetically diverse than the “farmed” beans of Columbia and elsewhere. This diversity protects the bean lineage from being whipped out by a new disease or insect infestation. New climate models predict that much of the area that currently has a thriving Arabica bean presence could be wiped out within 75 years. Different models yield different projections, but the impact ranges from a low of 65% loss to 99.7%. Early impacts could be seen within 10 years! What can be done? Climate change will slowly wipe out our precious wild Arabica beans. Domesticated beans must be nurtured and protected. Think of the generations to follow and help insure their daily quest for alertness. I think I’ll drop by Starbucks now and get a cup. See you later!